Held every two years a selected group of curators takes two years to determine current trends in art throughout the US. Certainly, the New York/Brooklyn artists are always well represented and Los Angeles has been contributing more significant art with each new exhibition. And the rest of the show is balanced by other art being made in the mid-west and with a smattering of art from the South. Selections from the permanent collection Where We Are: Selections from the Whitney’s collection1900-1960 opened in April 2017 and will be on display indefinitely. To experience pivotal pieces defining 20th-century art juxtaposed to the art of our moment revealed both contrasts and a deeper awareness and understanding of new art. The Biennial tends to really piss people off because traditional work is not acknowledged in this arena. New is never easy and in this regard the show did not disappoint. Before I post some of the selections that caught my attention and present them in contrast to earlier predecessors. Above: Henry Koerner (1915-1991), Mirror of Life, 1946. Oil on composition board, 36 × 42in. Below: Dana Schutz, Elevator, 2017. Oil on canvas, 144 x 180 in. Left: Gun Trigger. Can not find artist. Right: Jasper Johns. Three Flags, 1958. Encaustic on canvas, 30 7/8 × 45 1/2 × 5 in. Not all, but some highlights of work from the Biennial. Dana Schutz, Elevator, 2017. Oil on canvas, 144 x 180 in. (365.8 x 457.2 cm). Collection of the artist; Petzel Gallery, N.Y. and Contemporary Fine Arts, Berlin. Hybrid Strategies 2.0 opening night. 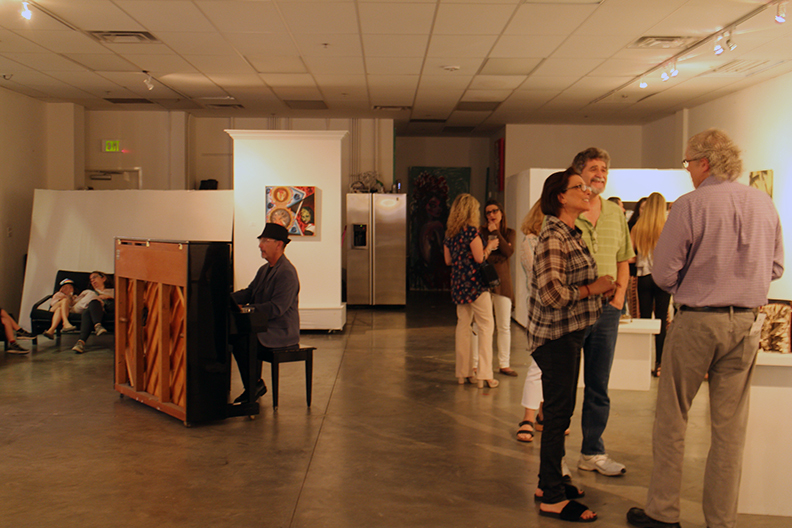 The Hybrid Strategies 2.0 exhibit featuring ten noted Broward and Palm Beach county artists opened last Thursday night (May18, 2017) in a new space in Pompano Beach. Magnetic Gallery, the vision of curator Byron Swart was created to present innovative art in yet another venue supporting the cities mission to become a cultural destination. Swart a part of The Creative’s team, is also responsible for introducing important international, national and regional artists as the curator for the gallery located inside of Pompano’s new Cultural center. Since my departure from teaching for 39 years I have been very fortunate to become more acquainted with Pompano’s art community. An appointment to the cities Public Art Committee for the past two years has introduced me to new wonderful lovers of art who are committed to making our community enriched through Public Art. 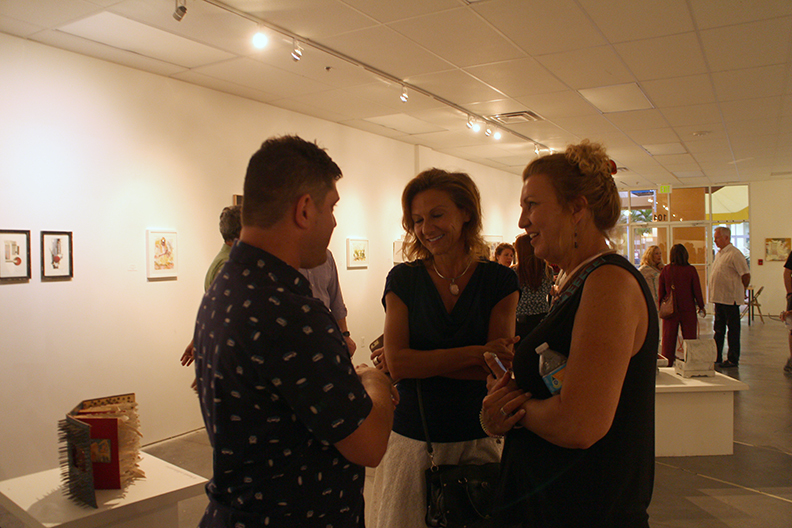 I have also been very involved with The Bailey Contemporary Art Center participating in events there, and recently had a very successful one person show of my new work. Many, many more new viewers have been introduced to my art through the Bailey. 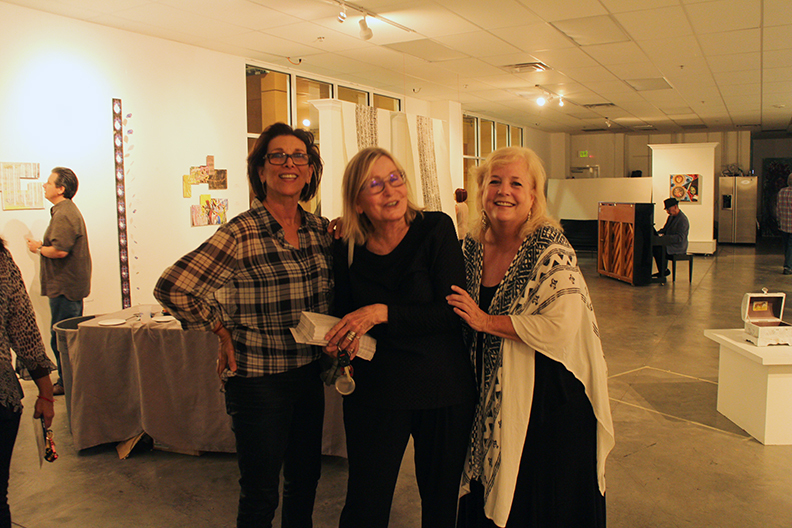 It was a wonderful partnership and I thank all at BaCA for the opportunity to exhibit my work in their fantastic space . Art is moving to the more eastern parts of the city. Wrapped traffic signal boxes and artist painted large scale sculptures of Pompano Fish are enjoyed throughout the city and more are being commissioned. 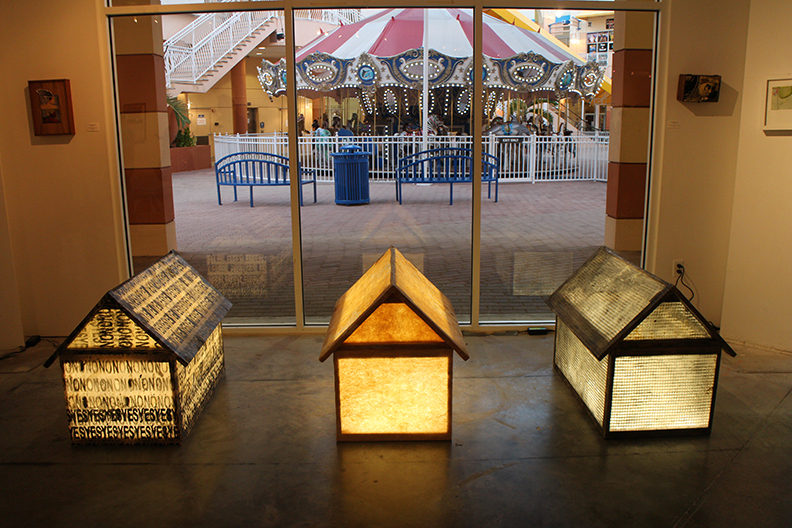 Now, thanks to the Pompano Citi Center, space has been provided in a storefront to promote local and South Florida art. 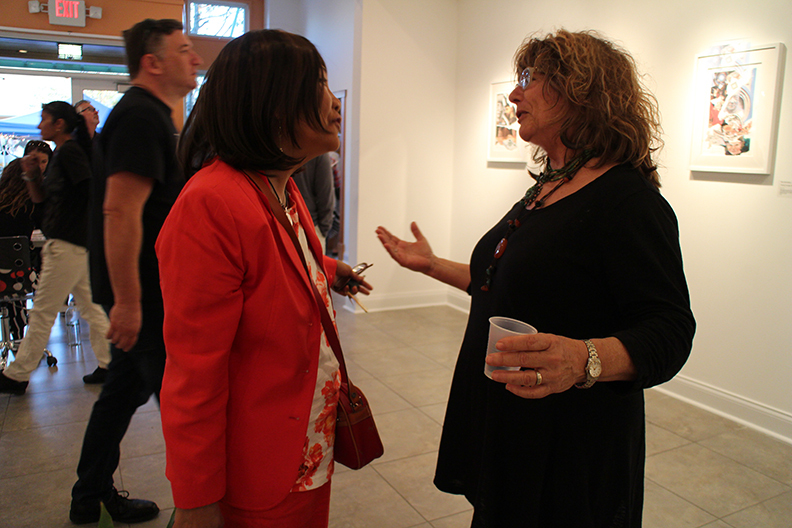 I was pleased to be invited to be a guest curator in this new huge gallery space. 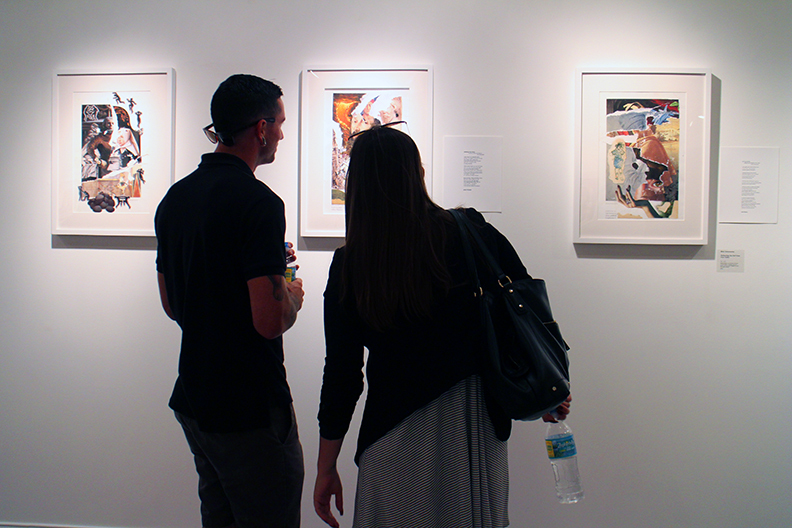 The result is a reset of a show I organized in 2008, exhibited at the Art Institute of Ft. Lauderdale's gallery. That original exhibit was prophetic in that it was a new body of mixed media work as I gradually pulled away from painting with oil on canvas and was enjoying a new phase of experimentation due to health purposes. Eight years later the artists in version 2.0 of the show have continued to make innovative mixed media art. The artists have enjoyed recognition in many areas including the Cultural Consortium Fellowship, whose art has been selected for prestigious local museum competitions and are extraordinary educators as well. It was a pleasure to reconvene this group of talent for another look at art that opens itself to innovation and experimentation with varieties of media. 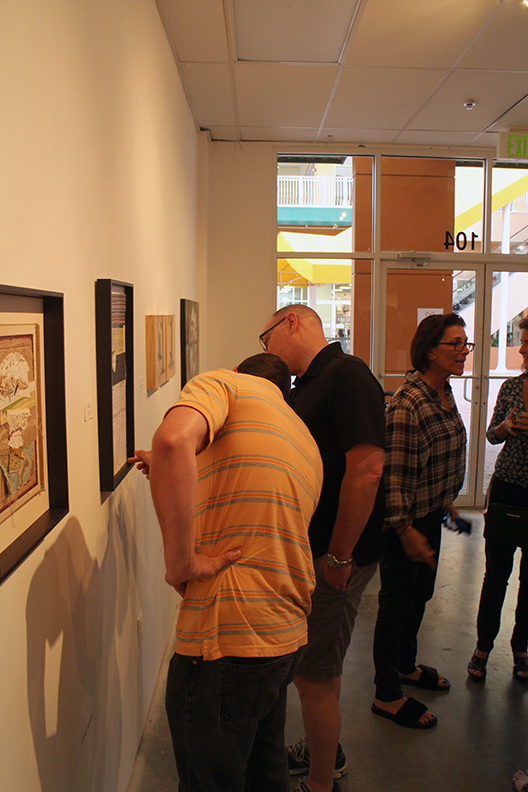 The feedback I received throughout the opening night was overwhelmingly positive. 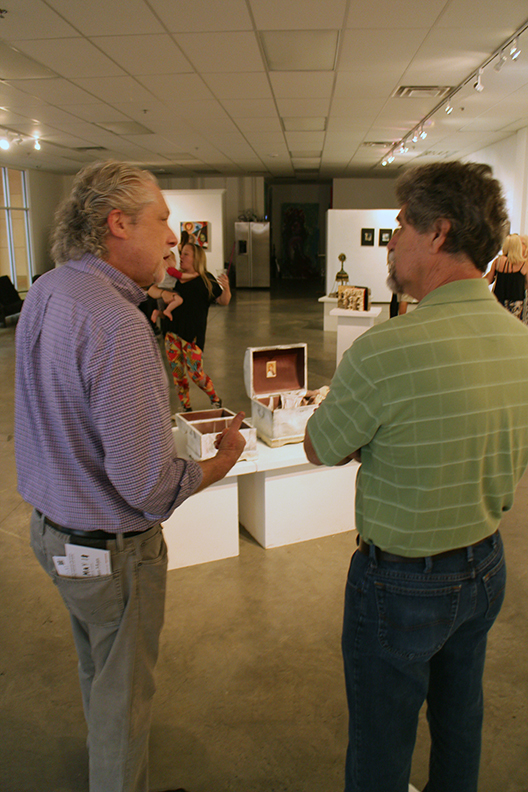 The audience was engaged looking at the work. Although very diverse in intent and approach to content and material I was very pleased with the cohesiveness of the exhibit. My belief that really good art despite its differences has inherent continuity based upon artists that continue to create works that continue to expand the vocabulary of art. 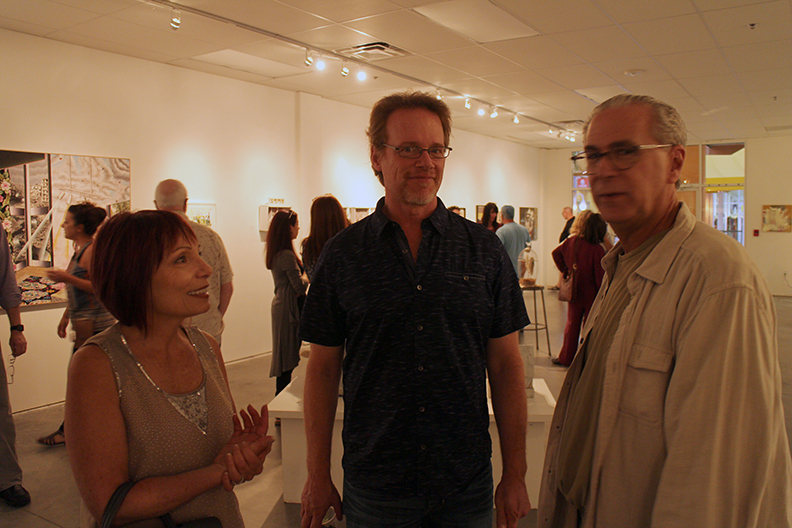 I am pleased to share images of opening night and will be sharing the actual artwork here in a later post. This is just a taste of some of the art but I would love to invite you to come to the gallery and experience the show for yourself. All works are for sale and are reasonably priced. Stop by and enjoy. 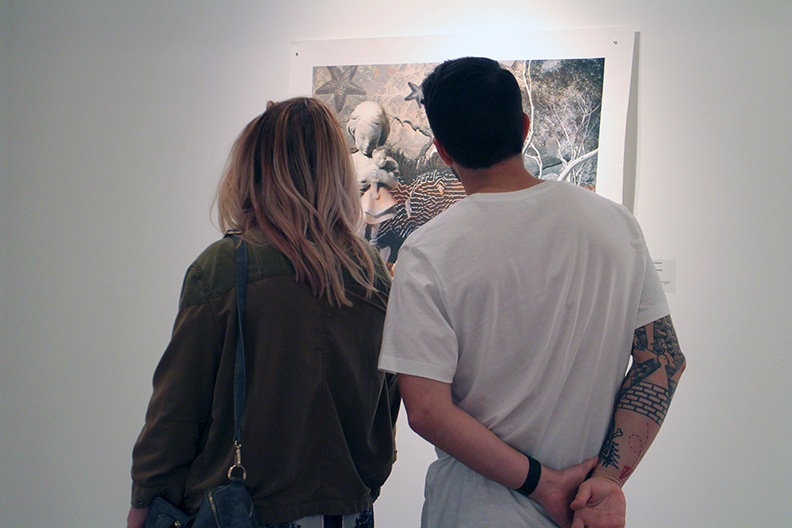 The show continues through June 4. 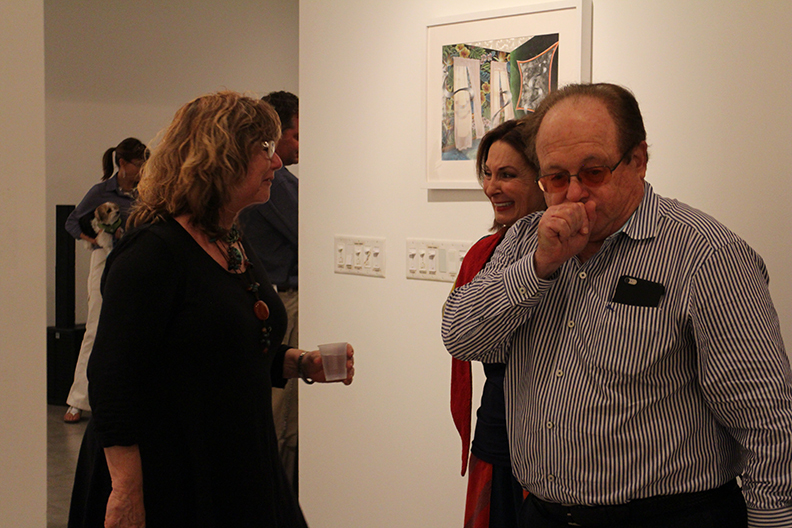 Here are some images from the opening. Enjoy! Mixed media altar piece and details. It's been a while...Selections from Museum of Latin American Art in Long Beach, California. While in Long Beach I always make a point of stopping by The Museum of Latin American Art. A relatively new space dedicated to both historic and contemporary Latin art, I have never been disappointed in their quality exhibits. One bonus is the Reciprocal Museum Membership that many museums such as the Museum of Latin American Art in Long Beach share with The Ft Lauderdale Museum of Art. Four southern California museums, The Museum of Latin Art, The Long Beach Art Museum, Laguna Art Museum and the Orange County Art Museum in Newport Beach became destinations to explore thanks to my membership. This trip I was traveling with my artist friend, Blima Efraim. Always a pleasure to share these rewarding visual experiences in the moment. Blima standing before the artworks and installations provide an awareness of the monumental scale of the artwork. DREAMLAND a Frank Romero Retrospective is a visual delight. Highways of imagination have you traveling to a time that still feels like the present. Slices of life and politics are a collage of references unified by an extraordinary sense of color and brush marks. The combination reveals a wonderful personal journey. From the lovely Dreamland brochure. Art as an educational experience is a mission of this museum for sure. I am happy to share some amazing photos of Frank Romero's interesting and powerful work installed impeccably at the MOLAA Long Beach! This gentleman seemed like he was part of the exhibit in a Norman Rockwell kind of way. The Process: Collages of found references are assembled and drawn. These large scale drawings display fine detailed network of crosshatched modeling. 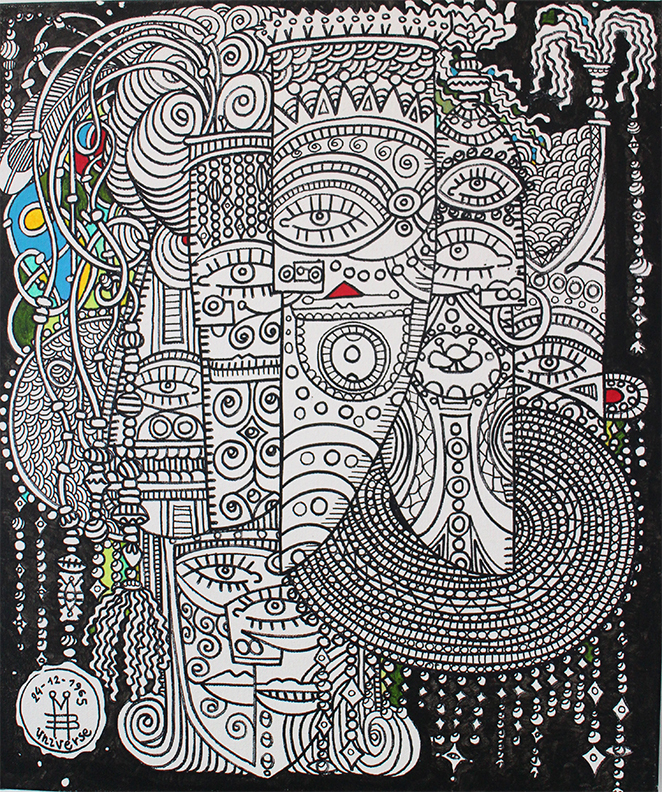 The drawings are ultimately developed as large scale expressionistic paintings. His naive approach to composition draws you into what seem like random compositions. A couple of details from other Romero work although painted in the 70's - 90's. Art is for me a way to learn about culture and history and personal expression. 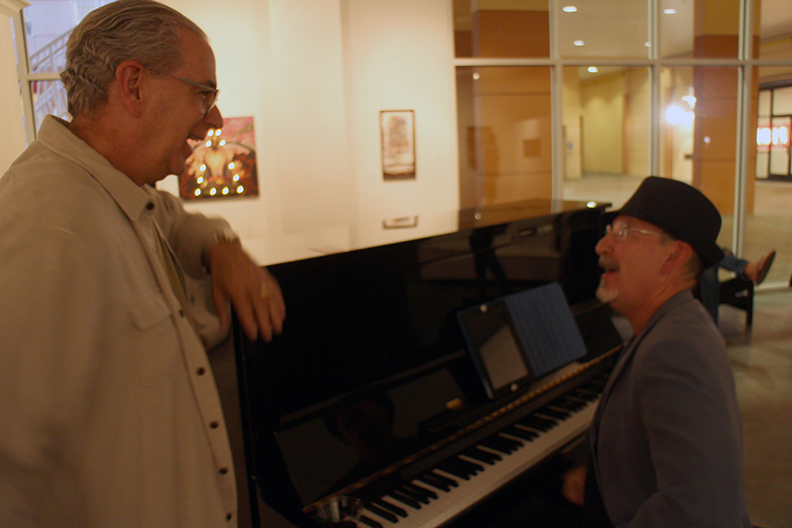 It has been a pleasure to discover the work of Frank Romero during my visit to The Museum of Latin American Art in Long Beach, CA. I will be sharing my art adventures here. Stay tuned for some visual treats. The studio has been busy. Curators and collectors have been stopping by. I have work and lots of it. It is interesting for me to live with work that I have made throughout periods of my life next to new work. I was a painter and have had to take a hiatus away from the materials that gave my work life in order to reinvent myself using new non toxic and digital material. The journey continues in a new form and although the process took time it has become an integral part of how I define myself as an artist. A look back reveals a continuation, a departure not necessarily a separation, just a shift in media. An awareness of life and natures dualities remains the preoccupation of my explorations both then and now. This painting is resurfacing now influenced by the recent Rio Summer Olympics. I was moments away from booking a trip to Rio in the late 80's but circumstances prevented me from being able to leave. I thrust my disappointment into a drawing that evolved into this painting. A narrative of the experience was recorded as a painting. I recently hung it our living room from its hallway storage spot. The original painting has never really been exhibited publicly, maybe once. To me, one of my strongest works. 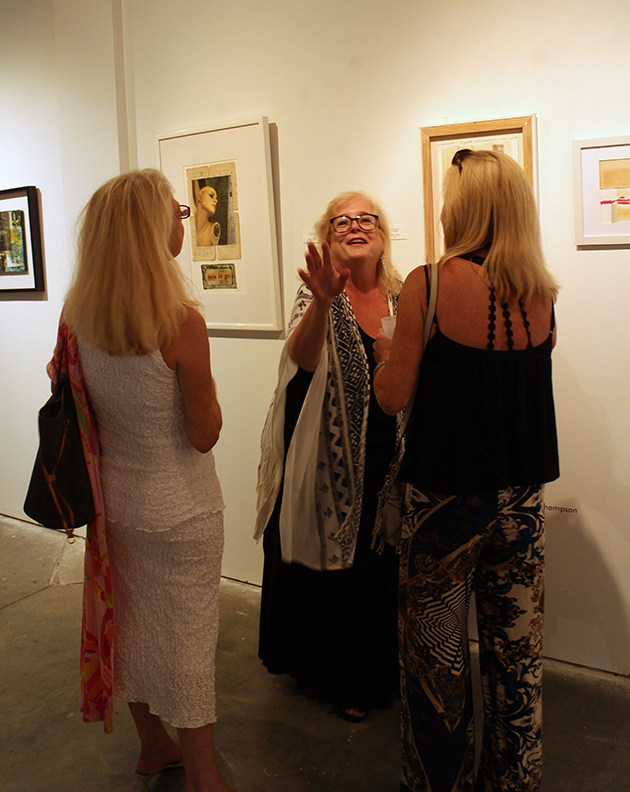 An acquaintance requested to come by to see my work as she saw a piece in a recent exhibit. She originally was interested in a particular digital work but once she saw my paintings she began to think of places to hang the work in her home. My original work is quite large and she had limited space and really fell in love with the art. We decided to print an archival giclee print of the work on canvas in a size that she felt comfortable with. The final piece has some limited hand painting on it just to keep the colors as true to the original as possible. The results are astounding. I call the reproduction my mini me. I posted a quick photo of the original and little printed canvas in the link above. Check it out! I have quite a few new experimental collaged prints coming here soon. All work on the site is available with prints of artwork on request. ECHO. The art of Leah Brown. Young at Art Museum. A hallway draped in white sheets becomes a portal into an incredible , unexpected dream space. Upon entering, a moment to catch my breath and I find myself now in a magical forest as if transported. You have now entered into ECHO the imaginary world of artist Leah Brown on display at the Young at Art Museum in Davie, FL. The installation is fabricated with sculpture, drapery and video projection. The museum invites you to experience a haunting fabric landscape, enhanced with video projection, hybrid creatures made from clay, found objects, fabric and hair . The objects are cast into plaster, reinforced with fiberglass, creating a dreamlike white, shimmering wonderland. The visual experience somewhat overwhelming is filled with pathways of fantastical images in this dream like landscape. Reflecting illusions of pools of water surround a forest of hybrid imaginary creatures. Bringing you closer to observe a character and Brown's attention to detail. My extraordinary YAA host Yumina Myers related stories of the children visiting the installation and how when it comes to dreaming the kids would open up quickly, sharing their experiences. One young camper who visited the exhibit more than once told her that some of the characters in the exhibit visited her in her dream one night! She also pointed out a casting of a reclining figure that was none other than one of the museums visionary founders, Mindy Shrago. Mirrors scaled to the size of the museums visitors echo throughout this amazing invented space. Every where I turned I was met by surreal entities. After my guide escorted me out of the fantasy and back through the museum I can not adequately describe the myriad of displays offered to children of all ages. Adults will feel tempted to interact with different rooms in the museum which is designed to teach art through interactive exhibits. The children and adults alike will be amazed at this very special place. Walking by Pablo Cano's creative puppets where he stages performances of his characters made from found objects. As I made my way back to the subway room where my projector was set up and ready to go, I was inspired and happy to share my art with the kids where I orchestrated a project using a surrealists imagination. 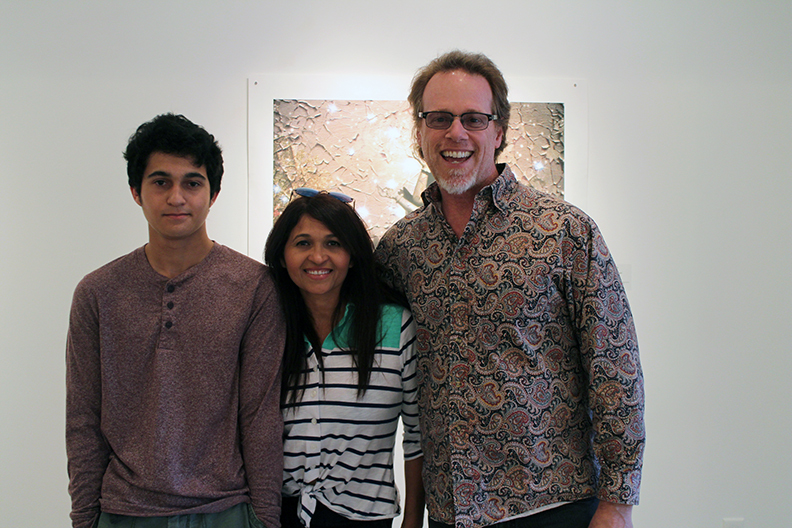 Thank you, Young at Art for providing rich art experiences for children and parents too! It was hard to believe that twelve hours earlier we were camping on our mountain land in North Carolina, lost in the present moment of natures beauty. Arriving in the pre dawn hours the highway lights that mark the beginning of South Florida, guided us home. Don't get me wrong, I enjoy camping but our bed and air-conditioning was well appreciated. The straight through, accelerated drive southward was to attend a very special parade at the Hollywood Circle. The event curated by the incredible Jane Hart, the Art and Culture Center of Hollywood featured the caricature puppet of Napoleon Bonaparte Broward followed by a parade of amazing creations of both native animal and birds. There was artist Wayne White, as the master of ceremony leading the way around the circle parade directing the gigantic green county name-sake, the rhythm driven by Brazilian drum beats. The end of a successful parade. Wayne (second from left) with students and faculty from New World School of the Arts, Miami who volunteered to help create and build the creatures pose for media after a successful event.. The festivities continued down the street to the art opening at the Art and Culture Center of Wayne Whites paintings in an exhibition, Art is Supposed to Hypnotize You or Something. Whites irreverent text based art is carefully painted on top of thrift store finds complete with ornate frames. The type is determined by its underpainting and floats effortlessly on top of typical thrift store art. The gallery is painted red with improvised drawing that gave me the feeling of being in a mock formal salon that was tagged with intriguing graffiti. By contrast the space is dominated by the giant green (what appears to me to be a snake oil salesman type) Napoleon Broward. The Center has created a wonderful unique installation that would be a nice visit to escape this crazy summer heat. Installation of the main gallery exhibit Art is Supposed to Hypnotize You or Something. Here are a couple of highlights from the show. If I have your interest and would like to delve a little deeper into Wayne's mind I would like to encourage you to take a look and listen to him during a TED talk presentation. And then there is Jane Hart who courageously exhibits challenging, beautiful and edgy shows that my former students always looked forward to field tripping there. You may be wondering what pulled me into Wayne's hilarious world. That would be the documentary Beauty is Embarrassing a film some LA friends encouraged me to watch immediately. I did and I was hooked. To my surprise not only did I know of White's work with Pee Wee's Playhouse but I was attracted to the mesmerizing word paintings years earlier at the Nada Fair during the very first Art Basel. This somewhat out of the way Fair at the Deauville Hotel in North Miami Beach always presented a fine array of both national and international art. I've include the full version of the documentary with the hope that some will take the time to view it and I promise it will be an enlightening experience! Discovering this film arrived at the moment I was undergoing a radical reinvention of my art due to health issues, Beauty is Embarrassing gave me the courage to move forward with whatever media and ideas my new art may lead. And most importantly to enjoy every moment! While visiting museums I find myself on instinctual drive by mode. Every visit potentially draws me to different artworks seeking varieties of visual experiences. I had these thoughts and captured some beautiful moments in paint. The mastery of so many approaches humbles and invigorates me. While the days of working six inches from the surface of my oil painting may be over for now I have been happy to replace this meditative approach to my digital explorations. I have been drawn to pattern and repeating forms from the days I began making images. The source may surprise you but I will save this discussion for a different conversation. But now contemplating a return to painting (only with total outside air) and I have started drawing once again with graphite and color pencil. I will find some time when it is not unbearably hot or I will wait until fall or a cooler climate. At dinner we all enjoyed a stimulating conversation in Old Alexandria with Shaina Rowell, a grad and pre med student about her memory research and maintaining memory. I was thinking about how memory would serve my return to painting. Research substantiates that repetition is the path to keeping and maintain previous connections. With that in mind the depth of the brain’s capacity to store information is extensive however if you don’t use it you may lose it is proven to hold some truth. We can nurture memories, repeat older tasks, remember the positive or dwell on the negative memories. My art training was all about the mark, the surface the design and to me most importantly the narrative (which was not as well accepted but I knew I had to be serious about it to fly). I feel like I have the opportunity to return to my roots of mark making fused with present thoughts. Detail from Gare Saint-Lazare. Edouard Manet. 1873. The master of the mark. This selection of images were photographed on Mother’s Day (2015) At the National Gallery in DC. I was intuitively draw to examine the mark close up revealing the texture, the layers and the drawing with the brush. I am grateful for the opportunity to share some close up captures of amazing paintings. With limited time I cruised on auto pilot and let instinct direct my attention. Detail from Odalisque. Auguste Renoir 1870. Slightly cropped Still Life of Oranges and lemons with Blue Gloves. 1889. A recent acquisition to the National Gallery collection. Detail from A Young Girl Reading. Jean-Honore Fragonard. 1776. Detail from Still Life: Apples on Pink Tablecloth. Henri Matisse. 1922. Detail from Daniel in the Lion's Den. Peter Paul Rubens. 1614 / 1616. Detail from Head of a Young Man. Anthony Van Dyck. 1617 / 1618. Detail from Woman Holding a Balance. Vermeer. 1664. Video discussion of relevance of painting in the 21st century. An interesting conversation about realism and its role in art today. 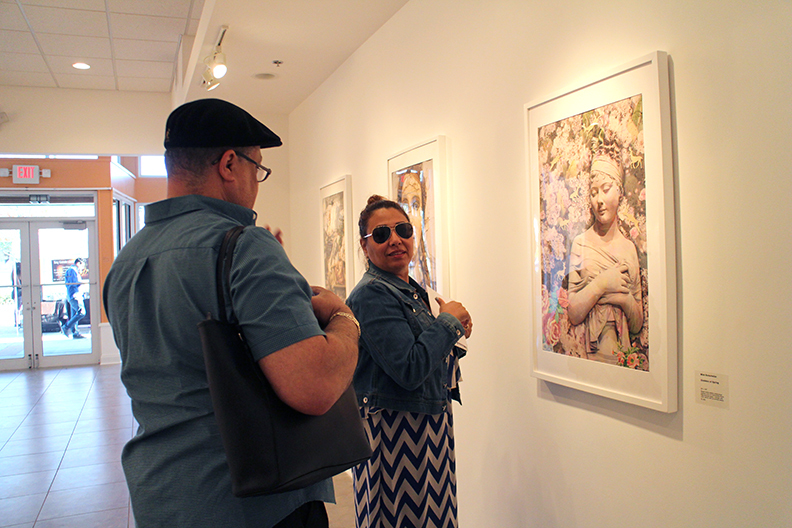 As it was Easter Sunday I was elated to see the museum bustling with people there to see the Frida Kahlo + Diego Rivera, Mexican Modern Art at the NSU Art Museum, Ft. Lauderdale. The museum also offered a fine display of Picasso ceramics with photos of the master and drawings, the superb photography collection from the Martin Z. Margulies Collection, Miami, a few large scale Schnabel digital works with paint smeared on them and the Glakens permanent collection. With a diverse offering the museum is a great place for educational field trips. We encountered an enthusiast docent who offered lesser know insights into Kahlo the woman her work and her relationship with Rivera and other artists of her time. The museum has strict policies for photography so only a few quick shots were possible before the guards politely informed me that photos were not permitted. I did return to find some of the works from the show on line. With the art fresh in my mind I adjusted the images to be a true to the color as possible. I am happy to share these here. Painting on the Los Angeles Times. The photos accompanying the exhibit were fantastic, an intimate glimpse into her life and art. this one Diego and Frida. In today's world their relationship would be labeled " complicated". Tehuana Self Portrait. Oil on canvas. Before there were “selfies” there were centuries of self portraits, in fact I have a book titled 500 Self Portraits published by Phaidon I would share with my students while we discussed concepts for their self portraits. Personally I am inspired by portraits that tell a story that can be told with images, color and mark. Like Frida I have turned to self portraiture during moments where my journey was getting interesting. Anyone familiar with my work would be aware of my fascination with exploring dualities. Large still life. Oil on canvas. I have always felt that still life's were a form of self portraiture as long as the objects had personal meaning to the artist. Frida's later works became less focused on her physical appearance and turn to morphine influenced still lives. Every item in the work symbolically replacing the image of her face. I always enjoy some personal artifacts that enhance the museum experience. Also shown here but not in the museum La Casa Azul. the Frida Museum in Mexico. another Schnabel where you can see the scale and the materials used. am all for experimentation with digital art and it is inspiring to see the scale can be as impressive as the large paintings in the Louvre. Somehow though technically interesting the overall effect is under-wheming, especially in the presence of smaller more emotive works. I will leave it to my readers to make "make an assessment" of Schnabel's work. I highly respect his film making endeavors and have watched the artist evolve over time. His forward movement is respectable however it leaves me staying only for a second. I am so grateful for the opportunity to be able to visit Kahlo’s work right here in Ft Lauderdale. A half a century after her passing Frida continues to draw admirers of all ages, the work,s still mysterious and an enigma to most. I have viewed the movie Inspirations featuring dancers Louise Lacavalier and Edouard Lock, architect Tadao Ando, as well as artists (the late) Roy Lichtenstein, Dale Chihuly, David Bowie and Nora Narango many, many times. It was important to me to be as engaged with the class even while seeing the same dvd's repeatedly. So I stayed and watched. After I would give out an assignment of a reaction paper to include a paragraph on "what makes you feel creative?" There always was the gamut of answers from the mundane to extremely personal however after years of asking this same question the overall majority would state that music in one form or another was a large part of the art process. I recently unearthed the boom box that followed me to class and the sleeve of music, a musical shrine to a moment. While working on an outdoor project of basically grunt work music was just what I needed. The sleeve provided an eclectic mix of music all to be selected while students would be drawing, painting or working on a computer during lab time. Sound occupies a space in-between intense concentration while making a piece of art regardless of what medium is occupying your visual space. Perhaps it engages and activates both sides of the brain to work at maximum efficiency. Adding rhythm to movement is a beautiful thing. As I flipped through my book of music I realized that each disk reflected a piece of me, sounds that move me to action, sounds that initiate the flow mode that makes time fly by. Many projects have been made with marks driven by a beat. I can not say what makes me creative. Justing getting to work does it, as work has become second nature. Beautiful and powerful voices, hip hop to classical, music fills my void creating the space for creativity to flourish. And I ask you now, what makes you creative? Incredible artists relate what drives them to make art. I thought it appropriate to follow my own advice today. Invigorated by an early Zumba class I headed upstairs to "work". Making an initial digital sketch, a basic composition is considered. Being drawn to images of gestural hands bathed in disco light, a space is developed. I tend to add a figurative element to initiate a spontaneous narrative. Mysterious masked figures of questionable gender are positioned between the hands creating a tension both visually and conceptually. Textural illusions complete the thought and add a visual dynamic of surface. The large scale file will be printed and adhered to a 30 x 40 inch support where the surface will be archival sealed and mixed media elements will be added. The work in the present will carry over to the days to come and a new piece will be complete. Moment by moment and decision by decision, sometimes the results are wonderful and surprising. Some work is more successful than others but the urge to make something is satisfied. Wow! It is Photoshop's 25th birthday! Although there has been several alternatives introduced to the market place at way cheaper prices, Photoshop still survives. While scrolling through FB where I have many, many friends in the Graphic Design industry I came across this new product. Thanks Marion S for the post. The short video reveals this new applications abilities and they look streamlined for professionals. The best news is that right now a Beta version can be downloaded for free. Right now this is not an embeddable link so cutting and pasting will have to suffice for now.I plan on installing this on my desktop and will review it in the near future. Sunday was a powerful day. A memorial service for one of my dearest friends was held almost a year since her passing. It was a perfect day and I could feel Cat smiling and shedding grace on all of us still here. Although the year has flown by it has tempered the tears and emotion and waiting a year does not detract from the tragedy but makes reflecting not so harsh. It was so great to see so many old friends and former students come together to honor a wonderful woman taken too soon. The beach pavilion and the jetty that Cat walked upon just days before her passing was filled with Love. I left with a sense of peace. I was determined to start this week making art. Charged up from my Miami Art Fair trip and charged with Cat's Love I decided to check in to Facebook before getting started with new work. The first post I saw referenced a former neighbor and childhood friend of our family. At first the post seemed like an old friend posting a Throw Back Thursday photo but it is Monday and the post read "I can't believe you are gone." I clicked on her name and now on her page I saw the posts on her wall. RIP Melanie Boyer with a short newspaper article confirming my worst fears. This young woman 32, a mother of a five year old son was gone, a victim of a horrendous car accident. Melanie grew up with our son and lived a couple of houses away from us. She was like a daughter and part of our family. There was a deeper very sad childhood trauma the dear Mel endured that was so etched in her soul that life was always a challenge. Her son brought her happiness and the reason to keep plugging forward despite moments of wanting to give up. Started this day with another moment of disbelief. My husbands childhood friend's wife was reported missing in Lasalle, Ontario, near /Windsor. So out of character for this woman so it was hard not to think the worst. The frigid cold and very desolate farm roads take many lives during the winter. Fortunately our friend was found no details yet and one story ends well. Another may have been saved if Melanie had fastened her seat belt. We never know when we are to be called home either by illness, accident or God forbid, sinister means. Find life and happiness in every moment. Be as present as you can be and do good things for others. Melanie was troubled but was learning how to let go of her past, she was a nurse and touched many with her gifts. RIP dear one. You are loved. My deepest sympathy goes out to her family during this very sad time. Pray for her five year old son. Maybe it's just me. I see so much art that I am finding it more and more difficult to find work that is compelling. This years installment in many ways is very safe and somewhat commercial. I bet much work is being sold which is a good thing. 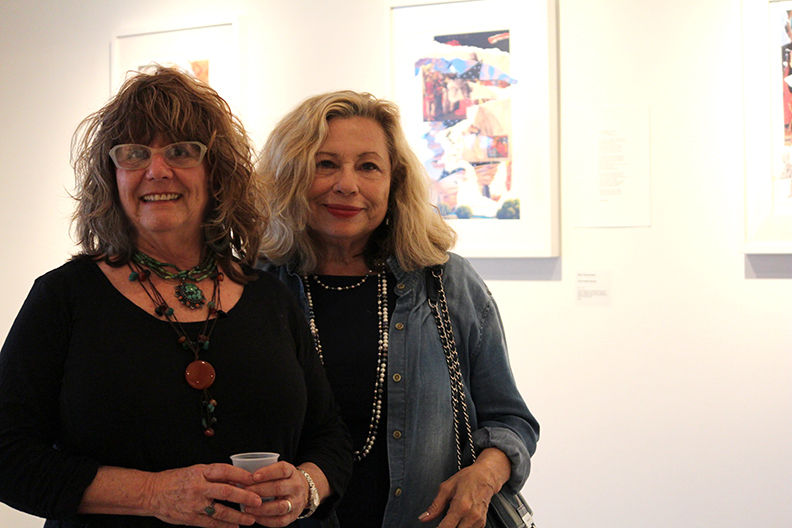 Bernice Steinbaum's exhibit is stellar. Bernice has gathered new art that straddles design and fine art. It is great to see artists the caliber of Carol Prusa creating her work as 3-D lighting there is nothing lost in this transition. Stunning. Here are some pieces that caught my attention. Enjoy the show, still up through Monday and still a great way to see lots of work. I'm sure many will find much to admire. And if you would prefer to enjoy this amazing winter day outside the famous Coconut Grove Art Festival is in full force! On a cloudless perfect winter day I headed with an artist friend Hegina to the Wynwood art district a couple of hours before the VIP opening for Art Wynwood 2015. We couldn't resist our first stop at Space 3, a cavernous warehouse with several tall ceiling white separate rooms. We were greeting by a legion of muscular large men dressed in black, NYC bouncer types. Asking if we could just poke around these guardians of the art, unthreatened by us they welcomed us in. The rooms were filled with scaffolds, industrial lighting and cans of spray paints. The fumes of the paint lingered in the air while some artists continued working on their murals, others finishing up. We walked into the last minute preparations for an event, which turned out was to be an auction of a serious collection of the history of graffiti art, The men in black were in fact guarding the artwork which I noticed in a catalog were upward of $25,000.00 each. Wynwood has been transformed from the seedy warehouse into kitchens and coffee houses, boutiques and yes, warehouses covered with paint everywhere you can look. The artwork the most extensive collection of murals I have seen in my travels. Major players complete with plaques of artist names and date of the mural. The murals and outside cafes are the draw here as I overheard a wide range of languages on site. Art Wynwood discussion will have to wait for a later edition. Go to the Fairs this weekend, Art Wynwood, coconut Grove art show and Janet Gold's opening will promise to keep me hopping around this weekend. Here are some visual encountered on this field trip.... The first group of images is Wynwood walls a park of murals. The Project Space 3 follows. Aside from my family the two things that I love are art and travel. Wherever I travel whether throughout my community, state, country or the world I look and find art. As an instructor for 40 years education is forever in my soul and art and travel provide endless opportunities to share and teach. Reflecting on all things visual through a blog is a new way for me to chronicle my journey.